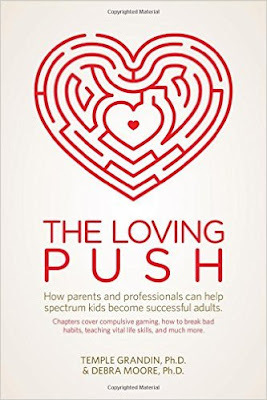 In a new book by autism's most famous spokesperson, Temple Grandin gives credit to her mother for nudging her outside her comfort zone, and she urges today's parents to do the same for their children. 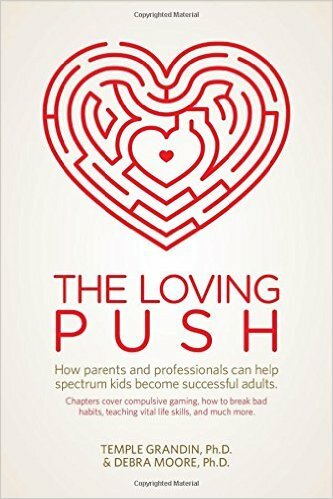 "The Loving Push," co-written with psychologist Debra Moore, makes a convincing case that, more than other children, those on the spectrum need to be prodded to reach their potential. "It can be tough to move our spectrum kids forward, because the autistic brain is usually very sensitive to change and novelty. Routines, rituals, and sameness are the preferred status quo," the authors write. "Even introducing what to you seems to be a minor change can trigger major resistance or meltdowns. Sometimes it just doesn't seem worth the fight. But we're here to tell you that your child depends on you pushing them.